Tel Haror is generally accepted as the site of ancient Gerar, a place mentioned on two occasions in the patriarchal narratives. During the Middle Bronze period (ca. 2000 to 1500 BC), Tel Haror was one of the largest cities in southern Canaan, covering 40 acres. The tell is surrounded by a rampart of beaten earth and sits on the western bank of the Wadi esh-Sheri’ah, in the valley of Gerar. 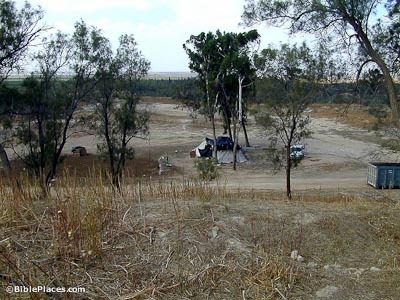 Located in the western Negev, the site is clearly associated with the Philistine plain but is off the main coastal highway. Abraham and Isaac both sought to live in Gerar. Abraham moved here after living between Kadesh (Barnea) and Shur in western Sinai (Gen 20:1). His wife was taken by the king of Gerar, but was eventually returned with 1000 shekels of silver (Gen 20:2-18). Isaac came to Gerar to live inside the city during a famine in the land, instead of going to Egypt like Abraham and Jacob (26:1-6). Isaac’s troubles over Rebecca happened in the city, since King Abimelech observed the display of affection from his window (Gen 26:7-11). Abraham and, later, Isaac’s troubles with the locals required that they move to the outside edge of Gerar’s territory. “Then Isaac departed from [Gerar] and pitched his tent in the Valley of Gerar, and dwelt there.” (Gen 26:17-18, NKJV) Tent-dwellers still settle in the area around Gerar today, such as this family of Bedouin living at the foot of Tel Haror. 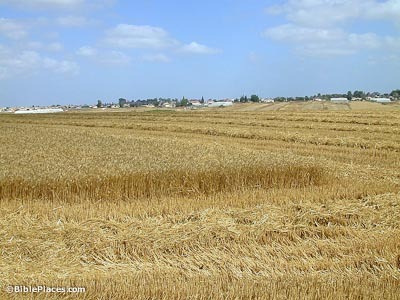 The productivity of the land around Gerar is described in Genesis 26:12. “Now Isaac sowed in that land, and reaped in the same year a hundredfold. And the Lord blessed him.” (NKJV) Three thousand years later, modern techniques are being used to sow and reap in the area’s fertile soil. 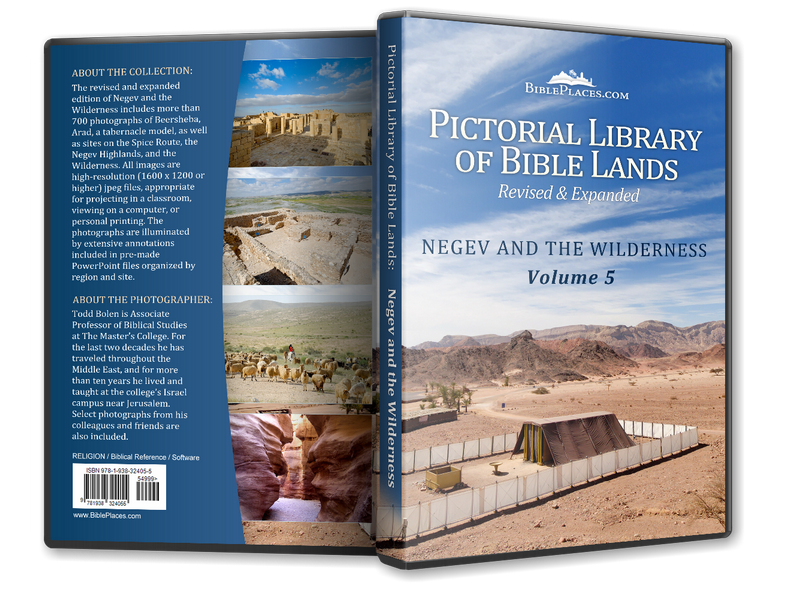 Download all of our Negev and the Wilderness photos! 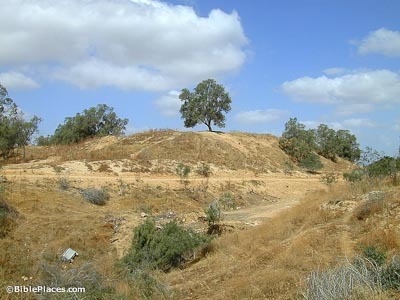 Gerar (Daily Bible Study) Briefly describes the site’s location and the biblical events that happened there. Includes a map of the region. 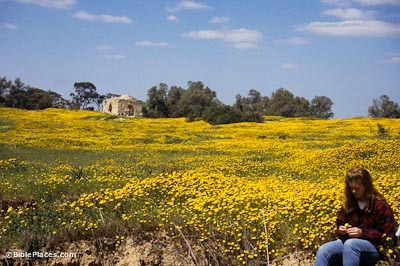 Gerar (Walking in Their Sandals) Provides details on the site’s location, the surrounding environment, and the biblical events at the site. Pictures of the area are displayed here. Gerara (The Madaba Mosaic Map) Features a regional map and aerial shot of the site. Also provides links to excerpts from both ancient and modern sources.